In October 2008 SES Sirius AB of Sweden has ordered the large C- and Ku-band satellite Sirius 5 from Space Systems/Loral for a launch in 2011. SES' Sirius 5 is a powerful multi-mission satellite, which will operate in both Ku and C frequency bands delivering high performance and extensive coverage for direct-to-home broadcasting, broadband, point-to-point, and VSAT services in Europe and Africa. 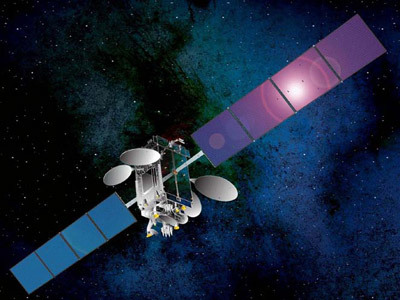 The C-band payload will be operated as SES 5 by SES WorldSkies. The Satellite was renamed Astra 4B in April 2010. Possibly the Astra 4B designator has been discarded since late 2010. Designed to be located at 5 degrees East, Astra 4B is configured with two Ku-band beams, one serving customers in the Nordic and Baltic countries and the other serving Sub-Saharan Africa. It has a total of 36 active Ku-band transponders available. The spacecraft also has two C-band beams, one with global coverage and one with hemispheric coverage, which can be operated with up to 24 active C-band transponders. The satellite design also includes a Ka-band uplink capability, allowing for flexible operations between Europe and Africa. In addition to the primary payloads Astra 4B will also host a navigation payload for the European Union. The navigation payload is part of the European Geostationary Navigation Overlay Service (EGNOS), which is being developed by the European Space Agency (ESA) and the European Commission (EC). The service is a precursor to Galileo, the full global satellite navigation system under development in Europe. It will augment the accuracy and reliability of signals from both the GPS satellite navigation system and the Russian GLONASS system.